Last week, we finished the Battles of Lexington and Concord with thousands of angry militiamen chasing the exhausted remnants of Col. Smith’s column and Gen. Percy’s relief column into Charlestown. As the sun rose on April 20th 1775, the day after the fighting, Gen. Gage found Boston surrounded by thousands of hostiles, with more arriving every hour. As word of the events of April 19 spread, local militia units traveled from all over New England to participate in the siege. Gage found his army heavily outnumbered. British ships with cannon in the harbor, and a well entrenched artillery at Boston Neck, kept the militia from overrunning the city and capturing the army. But the British were bottled up with nowhere to go unless they left the city by sea. For the next year, the two parties would remain facing one another, with neither side able to take out the other. The siege of Boston had begun. 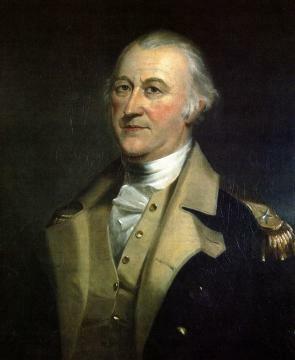 Gen. Artemas Ward, who had lay sick in bed on April 19, rode to Cambridge, the command center for the Provincial Army. Ward assumed command from Gen. Heath. None of the Provincial generals had ever commanded more than a regiment. Many had only drilled in peacetime militia units and read books about military affairs. Now they had to attempt to figure out how to organize the disorganized militia units into an army. They set up entrenchments in front of Charlestown Neck and Boston Neck and tried to figure out what to do with the stream of volunteers who arrived with each passing day. Inside Boston, Gen. Gage initially agreed to allow anyone to leave Boston who wished to do so. This prevented any insurrection inside the city, and also reduced the demand on food and resources. In an age before refrigeration and modern food preservation techniques, the city relied on fresh food deliveries from the countryside. With those now cut off, city residents had to survive on salted meat and other provisions that naval vessels shipped to Boston. Gage also required all civilians surrender their guns, whether leaving or not. Even though Bostonians had been secreting large numbers of guns out of the city for months, Gage managed to collect another 2500 guns and 1000 bayonets from the locals. After a few days, Gage started making it more difficult for anyone to leave town. First he would not allow them to take their property with them. A few days later, he required passes to leave town. Those passes became increasingly difficult to obtain. Tories had raised concerns that without any patriots in town, the militia might be more likely to bombard or burn the town. Gage did allow civilians to enter the city. 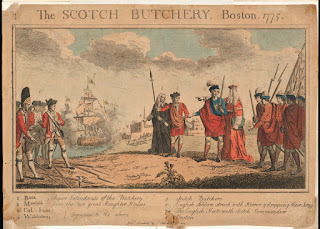 While far more exited than entered, any remaining loyalists in the colony sought protection in Boston, now that loyalty to the crown was considered treason in the rest of the colony. No Patriot leaders dared return to Boston, except one that is. Benjamin Church announced that he would go into the city to collect medical supplies. His comrades thought it was suicide. Of course, they did not know Gen. Gage was paying Church to spy on his friends and neighbors. Church met with Gage in Boston and discussed the situation before returning to the American lines. Paul Revere’s wife gave Church a note to give to her husband. The note said she was sending £125 to him in Church’s care since he was stuck out in the country with nothing but the clothes on his back. We know about the note because decades later it was discovered among Gen. Gage’s papers. No word on what happened to the money. Church returned from Boston with a good story about being taken in for questioning and then released. Gage did have to take one offensive action. A few months earlier, a group of Tories in Marchfield had asked for protection. Gage had deployed 100 regulars to the town. The day after Lexington, patriots came looking for these isolated regulars. Although over 1000 militia surrounded the town, they did not have the resolve to storm the British lines. Gen. Ward ordered Gen. John Thomas to take 1100 more men and artillery from Roxbury to Marshfield to attack or capture this small force. Fortunately, for the regulars, Gen. Gage acted faster. He requested Admiral Graves send a rescue party up the river to retrieve his men. Graves sent three small ships to Marshfield on the morning of April 20th. 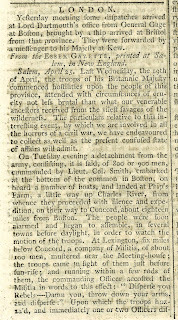 The regulars boarded and returned to Boston before the militia attacked. In Boston, British officers prepared reports on the events of Concord raid and wrote letters to friends and family back home. Some criticized the colonists for their refusal to face the regulars in a line of battle, instead firing from behind defenses and mostly running when attacked. Others though, gained a new respect for the locals. Lord Percy, had dismissed the militia weeks earlier, saying they would run from the field if he even drew his saber from its scabbard. Now, after watching the provincials stand under fire, advance on the regulars, and inflict heavy casualties, he had to reassess his views. These people would not be easily conquered. Gen. Gage collected reports from his officers and prepared his own report for London. For whatever reason, Gage decided to downplay the events to his superiors. His report to Lord Dartmouth covers the facts only briefly, as do the reports of his subordinate officers. Patriot leaders wanted to make sure their version of events reached a wider audience. 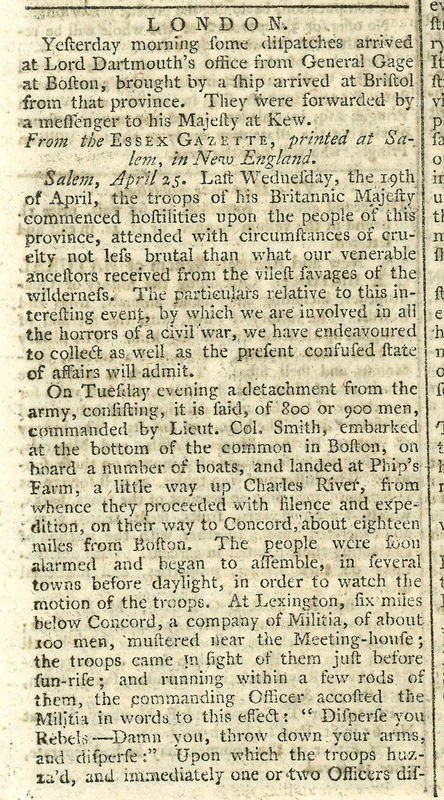 Even before the British returned to Boston, leaders sent riders out on the afternoon of April 19, spreading the news of regulars firing on the militia in Lexington. They wanted their side of the story to reach people first. 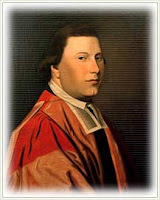 Since Paul Revere was busy with other matters, Isaac Bissell served as the primary messenger, carrying the news to Connecticut where additional express riders carried the Massachusetts reports to other colonies. In the days that followed, the Provincial Congress received reports or took depositions of people involved in the day’s events. A committee of nine took 97 depositions over the next three days. We know much of Paul Revere’s efforts on those days because of the report he wrote for Congress. Many of these reports ended up in the Journals of the Continental Congress. Committees of Correspondence sent copies to all the other colonies via express riders. Patriots thought it critical that they get out their side of the story first. The events of the day could be painted as out of control colonists attacking soldiers who simply marched down the road, or the regulars terrorizing the colonists who merely defended themselves. Who fired first at Lexington became an important point of contention. The colonists claimed the regulars fired first, while the British officers all claimed that someone fired at the soldiers before they returned fire. 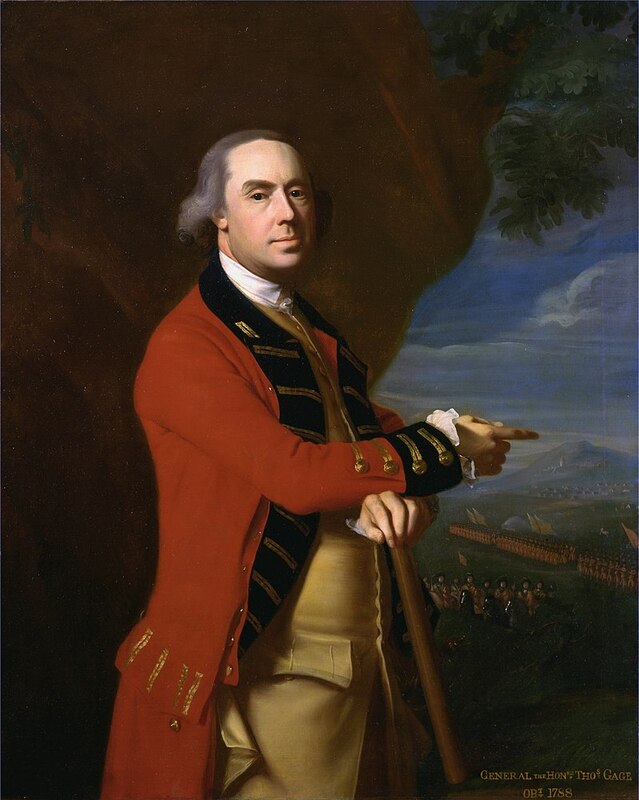 The leaders in Massachusetts wanted to convince the other colonies to join them in the fight. If the others believed Massachusetts had provoked an unjustified fight, they might be left on their own. Word of Lexington and Concord reached the surrounding New England colonies first. Many militia from Connecticut, Rhode Island, and New Hampshire rushed to Boston to assist their neighbors in the siege against the regulars. New York had been leaning loyalist, with many patriot leaders on the defensive. News of the battle gave patriot leaders the chance to seize the initiative. Isaac Sears, head of the New York Sons of Liberty, assembled a mob, which broke into the city armory and stole over 500 muskets. The now-armed mob went in search of prominent tories. One was the president of King’s College, later Columbia University. The old Rev. Myles Cooper lectured on the importance of class distinction and the adherence to Anglicanism as the State religion. He had condemned most patriot activities not just as bad politically, but as a deep moral sin. Fortunately, for Cooper, when the mob came for him, one of his students used his charm with the mob to turn them away. The student, Alexander Hamilton, was already part of the Patriot cause, and knew many of those in the mob. His efforts that night gave Cooper enough time to flee to a naval vessel in New York Harbor. From there Cooper headed back to England. Hamilton decided to drop out of school and become an artillery officer in the new Continental Army. He would go on to inspire the face on the ten dollar bill, as well as a hip-hop musical. He did a few other things too, which I’ll discuss in future episodes. Sears and his mob went after a few other leaders in New York City that night, but all had fled or remained in hiding. They had to satisfy themselves with marching through the streets of the city. Patriot fervor swept the city and the colony generally over the next few weeks. The New York Assembly dissolved, to be replaced by a patriot Provincial Congress. The small contingent of regulars in the city had to take refuge on navy vessels in the harbor. New York City fell completely under patriot control. News reached Philadelphia a short while later. The city, which had hosted the First Continental Congress and was weeks away from hosting the Second, remained divided. There were the traditional loyalists and patriots. There were also large religious communities, including the influential Quakers, as well as German speaking communities which held deeply pacifist views, opposed to any war. Quaker societies had already expelled several prominent members for involvement in the Patriot movement. Quakers were not only pacifists but strongly opposed any attempts to create rifts in the established order. Support for the Patriot cause though, was already creating rifts within the Quaker community itself. Pennsylvania also had some influential loyalists. Joseph Galloway who had been a voice of moderation at the First Continental Congress, spent much of the winter trying to discourage the radical influence that he expected at the Second Congress. Galloway found himself increasingly siding with the loyalist camp. He saw the patriot cause moving headlong into treason. Gov. Penn also worked with Galloway to get the colony to submit its own petitions to the King, rather than acting collectively through the Continental Congress. Outside of Philadelphia, especially in the west, Patriot sentiment grew stronger as well. For example, on May 16, a small town near Pittsburgh passed the Hannastown Resolves. The Resolves established an active militia with the intent of fighting any British soldiers entering the colony. The people of Hannastown, led by Arthur St. Clair, who we’ll hear more of later, vowed to fight until Parliament repealed all the controversial laws. They asserted that Parliament did not have the right to tax the colonies and had to put things back to the way they were before the Stamp Act. Many other small towns passed similar measures. Philadelphia did not see the radicals rampaging through the streets, harassing tories, as happened elsewhere. But the events of Lexington and Concord definitely set the colony toward active preparation for war. Patriot voices grew louder, loyalists quieter, and preparations for armed conflict grew more intense. When word of the fighting reached Baltimore, local Patriots took control of the city arsenal, seizing arms and ammunition, much like what happened New York. 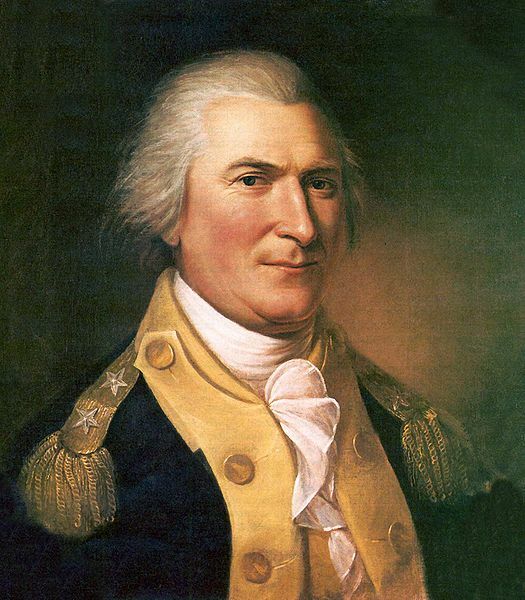 The Royal Governor in Maryland had not tried to call a session of the legislature in over a year, and had already essentially ceded control of the colony to the Assembly of Freemen at the Annapolis Convention. The Patriots now took military control as well as civil control of the colony. Virginia had already begun to shift to a war footing even before news of the fighting in Massachusetts reached the colony. The Governor, Lord Dunmore, had dissolved the House of Burgesses the year before after they called for a day of fasting and prayer in response to the Boston Port Act. Patriot leaders were already organizing their militia for the coming contest. Early in the morning of April 21, less than two days after Lexington, but before word had arrived, Dunmore ordered the Royal Marines to seize all the powder in the Williamsburg powderhouse and store in aboard a navy ship. That alone was sufficient cause for Patrick Henry to march on Williamsburg at the head of militia companies determined to challenge the Governor. Dunmore was already packing to flee when a messenger brought word of the fighting in Massachusetts. The news only reinforced his desire to get his family to the safety of a navy ship before the militia reached town. The incident over the powder got resolved a few weeks later when the Governor agreed to pay the cost of the powder. After things settled, the powder was returned, though kept under guard. Dunmore issued an order for Henry’s arrest, though Henry was then away at Congress in Philadelphia. By coincidence, when word reached Mt. Vernon a week after the battle, George Washington was there with a house guest, retired British officer Charles Lee. Within days, both men would be headed to Philadelphia, separately, with each in contention to be named Commander and Chief of the new Continental Army. The two men were the same age and had both fought together, along with Gage, under General Braddock in the Battle of the Monongahela, two decades earlier. After Washington hung up his uniform, Lee went on to fight in more engagements. He received a wound in the first attempt to take Fort Carillon at Ticonderoga. He then fought in Europe for several years. After being denied a promotion, Lee became staunch Whig, opposing the British government. In 1773 he moved to America where he purchased a large plantation in Virginia. Now, with the outbreak of war, he saw an opportunity to put his skills to use for his adopted homeland. In Charleston, South Carolina, patriots had already swung into action before receiving word of Lexington and Concord. The legislature had been fighting with the Royal Governor for years. In early 1775, the South Carolina Provincial Congress began meeting after the Governor refused to call the colonial legislature into session. On April 17, the Congress decided to intercept incoming official correspondence to the Governor. They received Lord Dartmouth’s orders to all the colonies to begin using more aggressive force to put down any rebellious activities. To prevent this, the Congress took control of the three arsenals around Charleston, seizing all the royal arms, ammunition, and gunpowder. All of this happened before they received the news of Lexington and Concord. On May 8, a ship brought a newspaper from New England which described the battles. With that news, the Provincial Congress approved the creation of two regiments of soldiers and a squadron of rangers, about 2000 men altogether, to support the Patriot cause. Across the Continent, the fighting at Lexington and Concord forced everyone to pick a side. It became nearly impossible for most people to remain neutral or try to stay out of it. The only question in many colonies outside of New England was whether they would decide the violence had gone too far and remain loyal to the King, or join their fellow colonists in a united opposition to British tyranny. The upcoming Second Continental Congress would be where many colonial political leaders would have to go on the record in choosing a side. We will get into that discussion in a future episode. But before we get to the Second Continental Congress, I want to speak to news of Lexington and Concord in London. Gen. Gage had spent a few days collecting reports from his officers and writing his own. He sent his reports to London on April 24 aboard the Sukey, a slow moving commercial vessel. Meanwhile the Provincial Congress wanted to get their side of the story to London first. They hired the ship Quero, Captained by Richard Derby, a member of the Provincial Congress. The Quero left the port of Salem on evening of April 28th four days after the Sukey. Unlike the Sukey, the Quero travelled without freight, trying to speed across the Atlantic and arrive first. Derby successfully avoided British ships patrolling the American coast and raced his ship across the ocean. Derby next had to avoid having his documents seized before they could be published. Rather than sail into London, Derby docked in Southampton and travelled overland to London. He had instructions to deliver the information to Benjamin Franklin, the colonial agent in London. By this time though, Franklin was back in Pennsylvania, having left London for good in March. Derby soon made contact with Arthur Lee, another colonial agent, who got the documents to the Mayor of London, and steadfast supporter of the colonies, John Wilkes. The story almost immediately hit the newspapers. The King, Lord North and Lord Dartmouth had to discover the outbreak of hostilities along with the rest of the public, reading the colonists’ side of the story in the London Evening Post. Dartmouth attempted to summon Derby for more information. However, probably out of concern for his arrest, Derby slipped out of London on June 1. He had prearranged for his ship to leave Southampton and meet up with him in Falmouth, probably to avoid any government orders that might have been sent to Southampton to prevent his ship from leaving. Derby returned to Salem, leaving his ship even before it docked on July 19, so that he could report his completed mission to the Provincial Congress. It took nearly two more weeks for the Sukey, containing Gen. Gage’s reports to reach Lord Dartmouth’s desk on June 10. By that time, everyone in London was well acquainted with the Patriot version of events. Gage’s reports largely confirmed the events of the day, other than his claim that the militia had fired first at Lexington. From the moment the blow was struck, and the Town of Boston invested by the rebels, there was no longer any reason to doubt of the intention of the people of Massachusetts-Bay to commit themselves in open rebellion. The other three New-England Provinces have taken the same part, and in fact all America (Quebeck, Nova-Scotia, and the Floridas excepted) is in arms against Great Britain, and the people involved in the guilt of levying a war against the King in every sense of the expression. In this situation every effort must be made, both by sea and land, to subdue the rebellion. The Patriots won the first round of propaganda, both in the colonies and England. Winning a war though, would require not only convincing the world that their cause was just, but that the colonies could defeat the British Empire in a clash of arms. Visit http://amrevpodcast.com for a list of all episodes. Journals of the Continental Congress, Vol. 2, 1904 (pages 24-44 contain eyewitness testimony of the battles of Lexington and Concord). Abbatt, William (ed) Memoirs of Major-General Heath, New York: William Abbatt 1901 (originally published by William Heath, 1798). Dana, Elizabeth Ellery (ed) Barker, John John Barker diary - The British in Boston, 1774-1776, Cambridge: Harvard Univ. Press 1924. French, Allen (ed) A British Fusilier in Revolutionary Boston, by Lt. Frederick Mackenzie, Cambridge, MA: Harvard Univ. Press, 1926. Frothingham, Richard History of the Siege of Boston, Boston: CC Little & J. Brown, 1851. Lincoln, William (ed) The journals of each Provincial congress of Massachusetts in 1774 and 1775, and of the Committee of safety, with an appendix, containing the proceedings of the county conventions-narratives of the events of the nineteenth of April, 1775-papers relating to Ticonderoga and Crown Point, and other documents, illustrative of the early history of the American revolution, Boston: Dutton and Wentworth, 1838. Murdock, Harold Late News of the Excursion and Ravages of the King's Troops, Cambridge: Press at Harvard College, 1927. Rantoul, Robert The cruise of the "Quero"; how we carried the news to the king, 1900. Bell, J.L. The Road to Concord, Yardley, PA: Westholme, 2016. Borneman, Walter American Spring: Lexington, Concord, and the Road to Revolution, New York: Little, Brown & Co. 2014. Fisher, David Hackett Paul Revere's Ride, Oxford: Oxford University Press, 1994. Hallahan, William H. The Day the American Revolution Began: 19 April 1775, New York: Harper Collins, 2000. Ketchum, Richard Divided Loyalties: How the American Revolution Came to New York, New York: Henry Holt & Co. 2002. Knollenberg, Bernhard Growth of the American Revolution 1766-1775, Indianapolis: Liberty Fund, 1975. Philbrick, Nathaniel Bunker Hill: A City, A Siege, A Revolution, New York: Penguin Books, 2013.